Le great French bake off! FrenchEntrée > Living in France > Food, Cuisine and Recipes > Le great French bake off! Who will be the next great pastry chef? The French version of ‘The Great British Bake Off’, ‘Qui sera le prochain grand Pâtissier?’, starts Saturday 4th Oct at 8pm. Over six episodes with English subtitles, it will follow ten pastry chefs who dream of becoming a future name in their profession. For several weeks, they will be coached, supported, helped, advised, trained and judged by a jury of four world-class master pastry chefs. Who will end up becoming the next great pastry chef? Follow the trials and tribulations of Adrian, Bastian, Brice, Emilie, Gauthier, Guillaume G, Guillaume S, Jeremie, Lionel and Ophelie! Ranging from 23 to 30 years old, our chefs have between three and 15 years’ experience in patisserie kitchens. Hailing from all corners of France, some have competed in the past – but for some this will be their first experience in a patisserie contest. Si j’étais un dessert, je serais (If I were a dessert, I would be …) – Our pâtissiers have three hours to present to the dessert that resonates with them and their personality the most. A task for which they have carte blanche. For our four jurors, it is an excellent way to learn about the candidates early on in the contest. Le Merveilleux (The Marvel) – The Marvel is a specialty of northern France that combines meringue and chocolate cream icing. 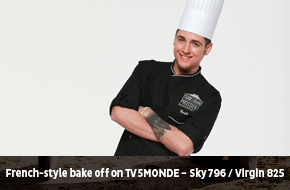 But it is also THE favourite dessert of juror Pierre Marcolini since his childhood. Under his exacting eyes, the pâtissiers will rework this classic in their own way. Le Gâteau à la broche (The Rotisserie cake) – In Southwest France, this dessert is an institution. And it is in the heart of the Tarbes market in the Hautes Pyrénées , where our pâtissiers will have to modernize this traditional cake. But they will have to master an extremely tricky hand-turning cooking technique first. La Boutique éphémère (The Pop Up Store) – Since the very first season of the competition, this is a stage that our pâtissiers look forward to and worry about in equal measure. In the heart of zoological gardens in Paris, they will create from scratch their very first Patisserie pop up shop with nothing but their brains and talent. They must manage everything from A to Z: decoration of their stand, choice of ingredients and equipment, the selling price of their cakes and so on. The entirety of their sales will be donated to People’s Aid. La Pièce artistique (The work of Art) – This is the longest stage of the competition: seven hours long and not a second to breathe. Candidates need create a culinary work of art made exclusively from sugar and chocolate on a theme chosen by the jury. Le Buffet de prestige (The Grand Buffet) – It is the most demanding stage; in five hours and with the help of two assistants, our pâtissiers will create a luxury buffet in honour of the greatest names in French pastry. The crème de la crème of the Patisserie profession will be there. For more information visit the programme’s official website. 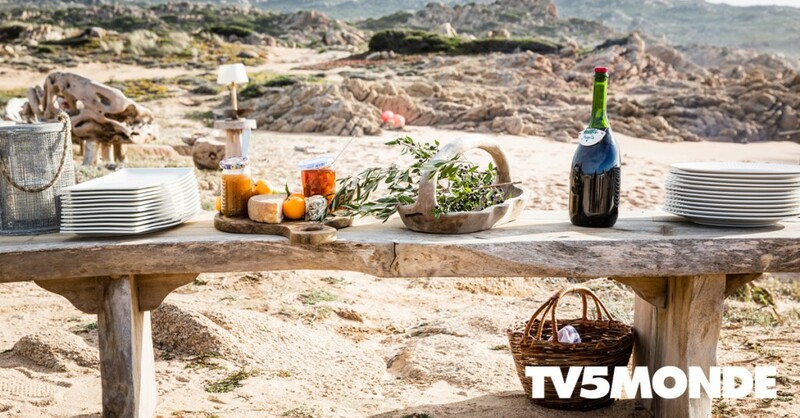 Follow Julie Andrieu – French television personality, radio presenter and food critic – as she roams around France exploring different areas showing us the local traditions, history, food, recipes and way of life of the people there. She published her first cookbook entitled ‘La Cuisine de Julie’ in 1999, and in 2000 became a food critic for the Guide Lebey. Each week follow Michelin starred Chef Guy Martin and share in his experiences as he searches out top French gastronomic delights, along with their creators/producers; farmers, fishermen…the artisans who demonstrate their talent, experience and savoir-faire! A journey of discovery for novice and gourmet cooks alike through the top products of French and international cuisine. Don’t miss the Japan Special on Sunday 5th Oct at 5:40pm.